At the risk of sounding ridiculously girly, it's such a blooming honour when one of your best friends asks you to be her bridesmaid and I couldn't think of anything lovelier than being by my best one's side when she marries her favourite gent later this year. Em and I have been riding high on dress shopping, prosecco quaffing and wedding chatting ever since. But there's one thing that I couldn't share with the bride-to-be… HER HEN DO! With brilliant fellow 'maids Roz and Hari, we set about planning a weekend away that Em would hopefully love. Which meant we wanted to find somewhere 'cosy', possibly historical, fill it with her best ladies and make sure not one single peen-shaped item got through the doors. I'd used Sykes Cottages for a couple of previous staycations so thought I'd have a browse on their website (which, btw, is super easy to use). Sykes came up with the goods once again and we found loads of lovely-looking potentials for our house party. 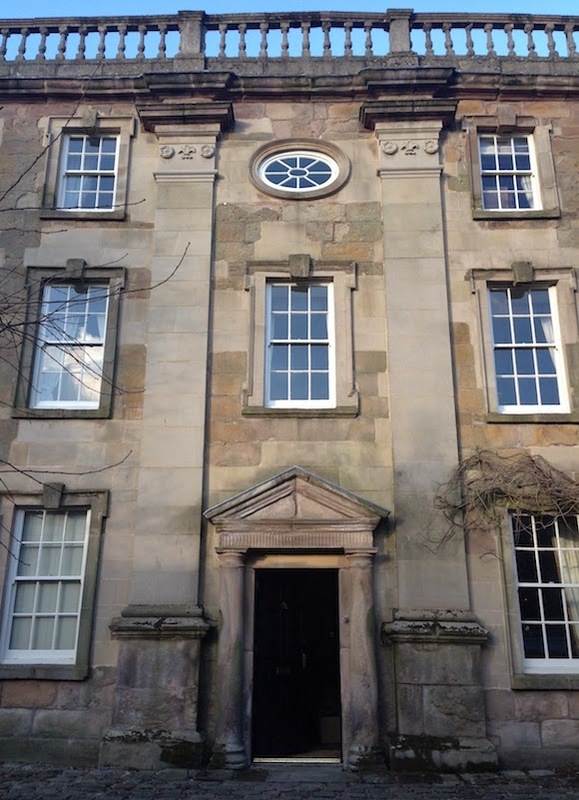 But it was Winster Hall in the Peak District that nailed it. JUST LOOK AT IT! 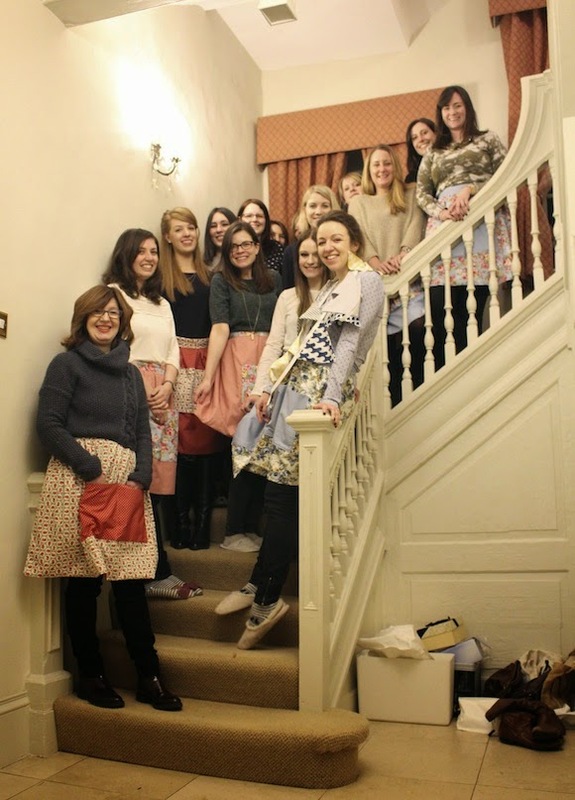 Hen weekend rolled around and we piled into our country pad like ladies and… er… ladies of the manor. Em and I settled into a huge bedroom on the top floor which felt an awful lot like a bridal suite. 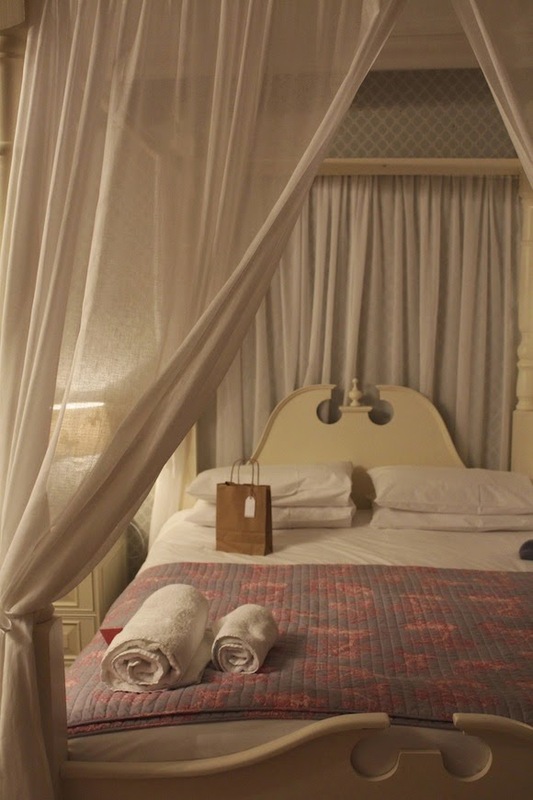 Four-poster bed and a massive bathroom with hers n' hers sinks? Don't mind if we do! On our first night, we finally got to grips with the Aga in the beaut open-plan kitchen and knocked up a chilli for dinner before retiring to the first floor sitting room for blondies and yet more drinks. When you're staying in a place like Winster, 'retiring' to different rooms is suddenly how you roll. The next day dawned decidedly wintery so we pulled on 20 layers apiece, stepped out of our country house and took a spin around the conservation village of Winster, stopping to coo at the quaint cottages and cutesy old shops. Then we headed back to the hall, where the lovely ladies at Love Me Sew had arrived to help us make our own retro pinnies. Many of the hens (me most definitely included) hadn't been near a sewing machine since school so we may have approached the task with utter terror. But soon enough we were sewing away like old pros! Watch out, Claudia Winkleman, I'll be joining you on the Great British Sewing Bee in no time. The more hardy among us even managed to keep momentum going and make our bride-to-be some beautiful bunting for her wedding day. 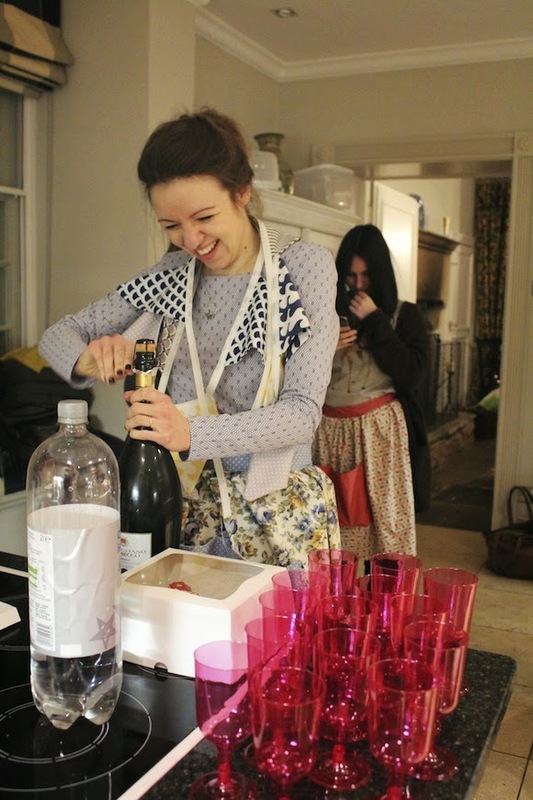 She promptly wore it like a necklace, sidled up to a magnum of prosecco and poured us all another celebratory drink. What a gal. Crafting completed, we glammed ourselves up and hopped in a taxi to nearby Bakewell where we sipped bellinis and munched a delicious dinner at The Pointing Dog. The weekend was filled with fun and happiness and it ruddy well flew by. How rude. 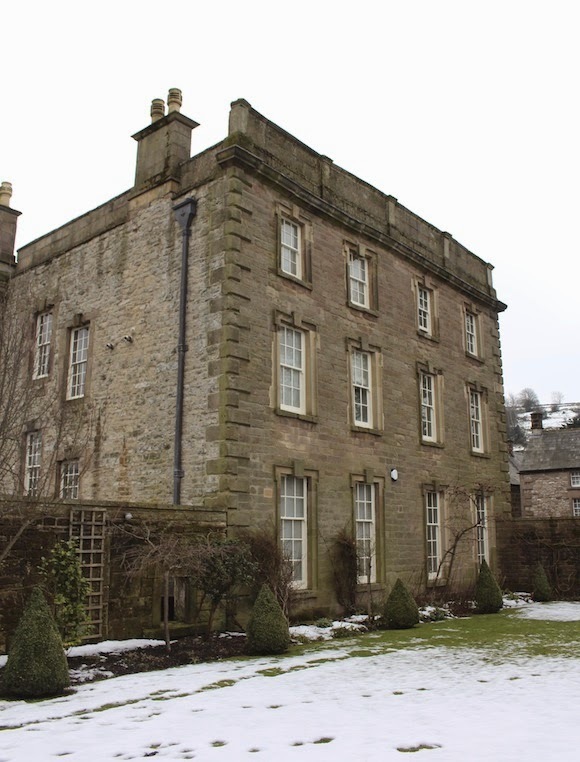 By Sunday we'd decided that Winster Hall had to be ours and were forging ahead with plans to team up to buy the place for our very own Peaky getaway.